WinOptions PayPal – It’s the Smoothest Way to Pay! There are so many payment services available online; electronic wallets, bank transfers, electronic cash and more. 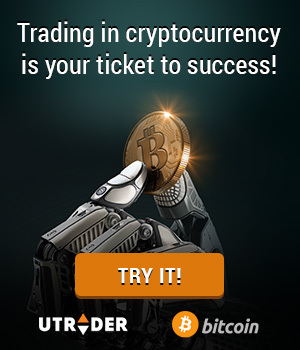 But what traders need nowadays is a more secure and smarter way to transfer funds. We do not want to compromise our traders’ security, that’s why we have collaborated with PayPal, the leading online payment service provider that offers a faster and safer way to pay and get paid. Through Win Options PayPal, you will be able to make quicker deposits without having to undergo tedious process. With the Win Options PayPal method, you have the flexibility to choose the method that works best for you. You can choose how you want to pay, without having to compromise security and convenience. Add that to the fact that it provides an extra layer of security to your financial transactions through its advanced data encryption technology. It acts like a digital wallet, simply add your credit/debit card details to your PayPal account, and use PayPal to deposit funds to your WinOptions account. You can add multiple credit/debit cards, bank accounts and other methods and have the power to select one as your primary payment source. What’s more, you only need to enter your card information once and your card details will be stored in your PayPal account. No sharing of private information! You can also withdraw your funds to a bank account using WinOptions PayPal. Simply add your bank account details to your PayPal account to facilitate it. Whenever you receive your winnings, you have the option to keep your money in your PayPal account or withdraw it directly to your bank account, the choice is yours. We have extended the functionality of our WinOptions banking system to cater to our clients’ needs. 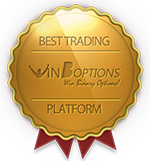 Through this innovative WinOptions payment service, traders have the flexibility to pay according to their own terms and receive their winnings swiftly and efficiently.